TUSUR offers innovative and prospective set of programs. Whether you are interested in graduate or undergraduate studies, or professional development, consider TUSUR to help shape your future. Strong academic programs, colorful traditions and moderate cost make it an unbeatable university. You have a good chance to prepare the first step into your careers! 6 photos 3*4 cm each (black and white, matte). Please note that the first and last name featuring in all Russian translations of documents submitted for admission must be the same first and last name stated in the visa. Students are enrolled and awarded grants only after passing entrance exams. Foreign citizens intending to self-finance their training must sign an educational services agreement and pay for at least one semester before the beginning of their classes. Tuition fee for full time education at TUSUR in the academic year 2015 – 2016 amounts to 60 000 – 180 000 rubles (approximately $1000 – $3000) per academic year. One can pay separately for every semester. 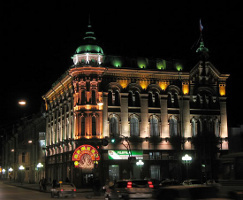 Living costs are much lower in Tomsk than in most Western countries. Foreign students are often provided accommodation in the university dormitories, which costs only 700 rubles (approximately $10) a month. It is more comfortable and cheaper than renting any other accommodation. For instance, to rent a flat in Tomsk costs about 20 000 rubles or more (approximately $320) a month. Lunch at a student café costs between 100 and 150 rubles ($2 – $3), one-way trip in public transport costs between 15 and 17 rubles (50 cents), costs of textbooks and learning materials are between 500 and 700 rubles (approximately $10 – $12). Please, note that foreign students have to obtain medical insurance for the period of stay in Tomsk. The cost of voluntary medical insurance amounts to 4000 rubles (approximately $65) per year. This kind of insurance covers a wide range of medical services offered if an insured event occurs. For the purposes of admission to Russian universities, state-recognized certificates of secondary education issued by educational institutions of the following countries are accepted without the recognition procedure: Azerbaijan, Kyrgyzstan, Abkhazia, Armenia, Belarus, Kazakhstan, Moldova, Tajikistan, South Ossetia, Turkmenistan, Ukraine. The Certificate of Secondary Education issued in Turkmenistan is accepted as the equivalent of the Russian Certificate of (Complete) Secondary Education provided that the duration of training was no less than 10 years. If the training was no less than 9 years long, the Certificate of Secondary Education issued in Turkmenistan is accepted as the equivalent of the Russian Certificate of Compulsory Education. The recognition and validation procedure is not required for any certificates of education issued in Belarus and for foreign certificates of education accepted by Russian universities subject to Government Decree # 668 d/d 04.11.2003.
change of name document (if the diploma features the premarital name of the applicant, it should be accompanied either by a notarized copy of the marriage certificate or by the original marriage certificate and its non-notarized copy; if the marriage certificate is issued in a language other than Russian, it should be accompanied by a notarized Russian translation; if the applicant name is changed due to any reason other than marriage, a document issued by the competent authority confirming the change of name must be submitted). As established by the Tax Code of the Russian Federation, issuance of certificates of validation and recognition of foreign education certificates is subject to a state duty at the rate of 4 000 rubles per one document. All information on the recognition procedure and application forms can be found on the website of FSSI GlavExpertCenter. Foreign applicants frequently inquire about notarization of powers of attorney, copies and translations of documents. Please note that the Russian Federation holds international legal assistance treaties with many foreign countries. Notarization of copies, translations and powers of attorney are the subject matter of the civil law and are therefore regulated by the legal assistance treaties applicable to civil cases. All such treaties are published on the official website of the Ministry of Justice. To see whether notarization made in your country will be recognized in Russia, check the corresponding section on the website of the Ministry of Justice. If there is a (civil) treaty in force, notarization made in your country will be sufficient; if there is no such treaty in force, legalization will be required. Please read more here to learn about legalization (apostil and consular legalization). Please note that legal assistance treaties release applicants from the obligation to legalize documents, but the documents must be translated into Russian in all cases. No translation into Russian is required only if the documents and notarized certificates are fully duplicated in Russian. Prospective students can submit their documents for preliminary assessment for necessity of legalization in the Federal Service for Supervision in Education and Science of the Russian Federation. Please read the document below to learn more about the procedure. Regulations on consulting services and preliminary assessment of foreign certificates of education and (or) qualifications for necessity of legalization of such foreign certificates of education and (or) qualifications in Russia in the Federal Service for Supervisions in Education and Science. Stas Burkin, young writer and the winner of«Debut» literarary award, was born and studied in Tomsk. Now he lives in Paris, but he still remembers his native city and speaks of it warmly: «For some reason, many inhabitants of Tomsk still cannot believe that they live in the best and the most culturally rich city behind the Ural Mountains. They do not believe that in the vast area which amounts to one tenth of our planet and where millions and millions of people live, Tomsk is distinguished as a sacred and elite place. It is easier for me to find a good specialist in oriental studies, a good writer or a sculptor here than in other parts of Russia. Tomsk atmosphere is splendid. It is an incredible mixture of cultures, arts and interests, just like Paris. Lives and actions of people that cannot be found anywhere else in the world. This city was destined to become a fictitious character». The city of Tomsk was founded in 1604. It is situated in eastern part of West Siberia on the bank of the Tom River. The population of the city is about 500 thousand people. Tomsk is the heart of Siberian science, education and innovation. It hosts 9 universities, 15 research institutes, and the Special Economic Zone. It is very cold in winter and quite warm in summer in Tomsk as well as in Siberia at large. Average temperature in January is about 19°C below zero, while average temperature in July is about 18°C above zero. Cold days prevail over warm days in the course of the year. Winters are snowy and summers can be rather rainy. Therefore, if you are planning to visit Tomsk, check the weather forecast at http://weather.tomsk.net/ and don’t forget to take warm clothes and shoes with you. Tomsk is truly a city of students. There are nine universities here, and every fifth person is a student. Most of them came to study in Tomsk from other cities and countries. That is why when you first arrive in Tomsk you cannot help noticing how many young people are around you. Walking along the Lenina avenue you pass by three universities in a row, and each of them has its own face, its history and its distinct character. The old city is revived by voices of young people, by their laughter and music. 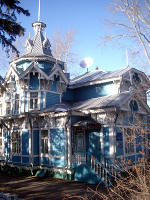 Students have various favourite places in Tomsk, such as bike clubs, dance clubs, coffee houses, sports grounds, and art theatres. Indeed, this colorful diversity is the essence of student Tomsk. We are deeply convinced that Tomsk will leave a very pleasant impression! You will have a great time here regardless of the season and will never forget the unique spirit of this city, the spirit of youth and energy combined with wisdom and charm of old streets. Foreign visitors are required to obtain a Russian visa to enter the country unless they hold the citizenship of a country that is party to a non-visa agreement with Russia, i.e. Abkhazia, Armenia, Azerbaijan, Belarus, Kazakhstan, Kyrgyzstan, Moldova, South Ossetia, Tajikistan, Ukraine, Uzbekistan. The first step to obtain a Russian visa is to apply for a formal invitation from TUSUR University. To apply for a formal invitation, please send a scan of your passport and this completed form to kos@main.tusur.ru. Invitations are issued by the Russian Federal Migration Service, which reserves 30 days to process applications. EU citizens (excluding the Republic of Ireland and the UK) and citizens of Switzerland, Iceland and the Kingdom of Norway require only an official invitation issued by the university, not by the Russian Federal Migration Service. Such invitations are issued within five business days. Please note that university invitations and issued visas may not be used for tourist purposes. After the invitation is issued, it will be mailed to you by TUSUR University. You will need to contact the Russian Embassy in your home country to find out whether any additional documents are required for your visa. Once you receive your invitation, you will be able to submit your application for the Russian visa to the Embassy. Provided that all documents are ready and valid, the visa is normally issued within 3 – 10 business days. 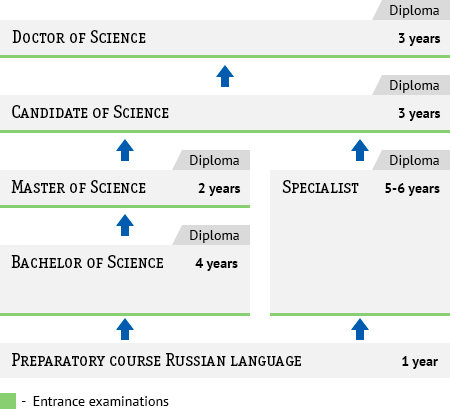 System of education in the Russian Federation offers a wide selection of promising majors, as well as unique experience and diplomas, recognized all over the world. There is no doubt that Russian training provided in natural sciences and engineering is one of the best. Employers offer the most exciting jobs and favourable terms to our alumni and even current students, which means that «products» of Russian universities are competitive in the world market. Foreign citizens who do not speak Russian are enrolled to preparatory course. Its duration is one year. Foreign citizens, willing to obtain a bachelor or specialist degree, ought to have completed secondary education, equivalent to secondary (full) general or secondary vocational education in the Russian Federation. Those who wish to obtain a master’s degree should have completed the bachelor program in relevant major. Foreign citizens who have completed higher education and obtained a specialist or master’s degree can be enrolled to postgraduate programs. In order to enter the university at any level of education, one needs to legalize documents confirming previous education (see section «Legalization of Documents») and establish its equivalence to the relevant level in the Russian system of education (see section «Equivalence and Recognition»). Foreign students, who have met curriculum requirements and successfully passed the final examinations, obtain the state standard diplomas of relevant level of education and are conferred an academic degree (i. e. bachelor / master / specialist). Candidate of sciences degree and state standard diploma certifying it are conferred to foreign postgraduate students, who have successfully completed postgraduate education and defended the Candidate dissertation. Doctor of sciences degree and state standard diploma certifying it are conferred to foreigners, who have successfully prepared and defended the Doctor dissertation. On entrance to Russia, all foreign citizens obtain a migration card and must carry it with them at all times during their stay in Russia. On arrival to Tomsk, international students must register with the migration service. Students arriving from the countries that are subject to the non-visa regime with Russia must contact the passport registration officer at their dormitory for registration. When students leave the territory of Russia, the must re-register with the migration service after their return. To do so they must come to the Division of International Cooperation on the next working day after their arrival, and bring their passport, visa and their new migration card. Violation of these registration rules is punishable by a fine or deportation by court order. Please, note that foreign students have to obtain medical insurance for the period of stay in Tomsk. The cost of voluntary medical insurance amounts to 4000 rubles (approximately $65) per year. This kind of insurance covers a wide range of medical services offered if an insured event occurs. To purchase insurance, you should contact International cooperation division by email saa@main.tusur.ru.